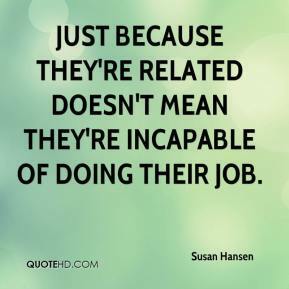 Just because they're related doesn't mean they're incapable of doing their job. He is doing well. 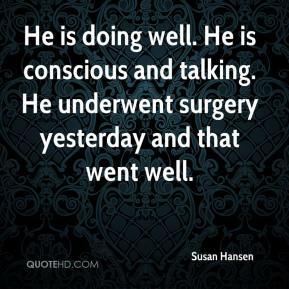 He is conscious and talking. He underwent surgery yesterday and that went well. 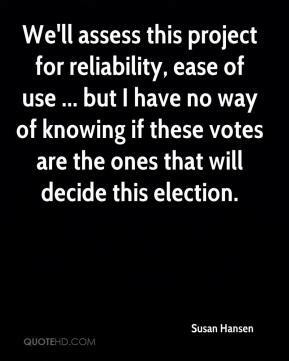 We'll assess this project for reliability, ease of use ... but I have no way of knowing if these votes are the ones that will decide this election. 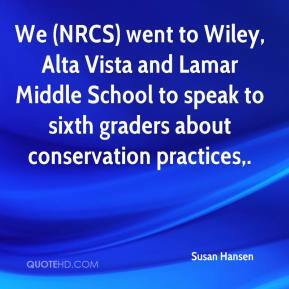 We (NRCS) went to Wiley, Alta Vista and Lamar Middle School to speak to sixth graders about conservation practices.